The Pro hear IV is a low-profile in ear sound amplification and suppression in one device. Discrete size reduces distortion and will compress sound over 85 db. With four channels and four memory settings. Setting can be set to 17DB 22 db., 30DB, and 35 db. To create the perfect noise protection. Comply N 50 tips for a great fit and comfort all day. Designed to provide a safe level of sound amplification and can be worn with most glasses and hats without interference. The unique compression circuit minimizes Impulse sounds and, together with the companion ear plug, reduces the negative effect of muzzle blasts or other loud noises. 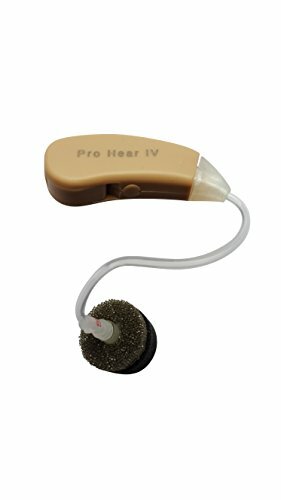 The advanced Pro hear IV is ideal for someone who wants high quality digital, with advanced options, hearing enhancement to aid their hearing and provide additional protection.